YEREVAN, JUNE 20, ARMENPRESS. The Folklife Festival of the Smithsonian Institution will kick off June 27 in Washington D.C., USA, with Armenia participating for the first time. President of Armenia Armen Sarkissian will attend the grand opening of the event. Sarkissian will depart to the US capital on June 26 to take part in the annual Folklife Festival, dedicated to Armenian cultural legacy. Ethnographer Levon Abrahamyan, coordinator of Armenia’s participation in the festival, told ARMENPRESS that the president’s participation underscores the significance of the country’s participation in the festival. Smithsonian Institution is organizing the festival for fifty years, and this year’s event will also see the first time participation of Catalonia also. “Folklife isn’t an ordinary exhibition festival, it presents in a live style the household life, crafts, cuisine and other aspects of the given country. Various themes and directions are features each year. The main character this year is the master, through whom the crafts, traditions and cuisine will be displayed, by maintaining the tie with the past. 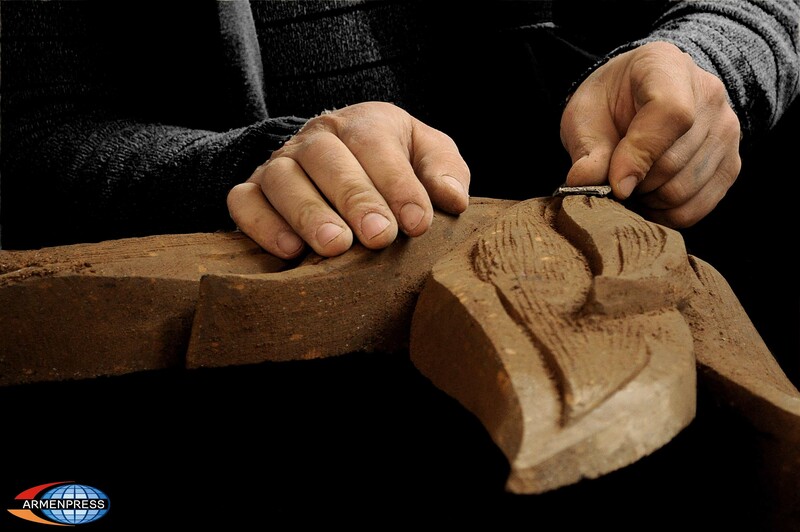 The idea is how the crafts have been preserved and passed on to generations,” Abrahamyan said. The program of Armenia’s participation has the following idea behind it – From Nature To Home. Pottery, wood craft, carpet weaving and cross-stone art will be presented. “By the way, all of this will not simply be displayed. The cross-stone artist will show his work during the entire process, and will finish his work on spot. We also plan to have a blessing ceremony of that cross-stone. Blacksmiths will also show their crafts. Carpet weavers will make several types of carpets,” he said. Abrahamyan said that the festival has an interactive nature, and visitors will be included in the entire program. Cuisine is also an important component of Armenia’s participation in the festival. 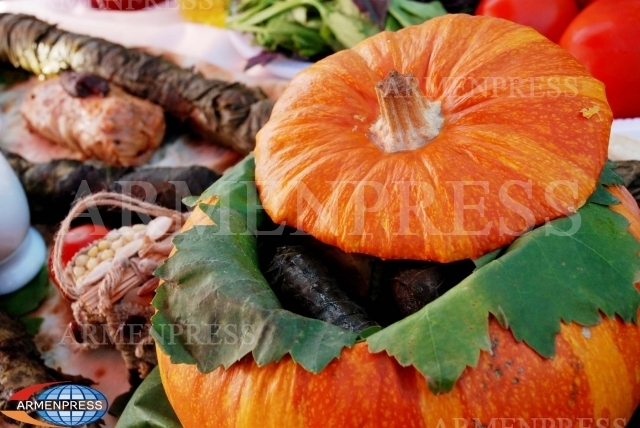 Organizers spare no effort to present the very best of Armenian cuisine at the event. 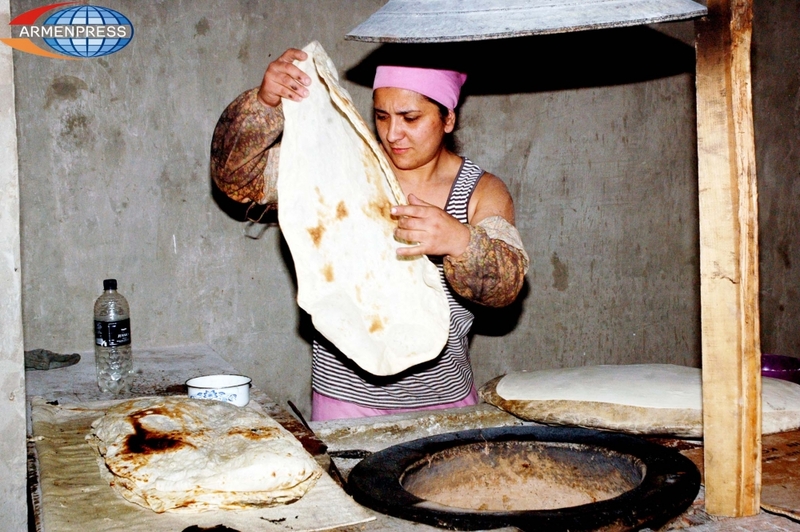 Visitors will have the chance to see how lavash is being made, and taste the well-known Armenian bread. Pakhlava, cheese, dolma, dried fruits, wine and many other Armenian cuisine specials will be presented. Levon Abrahamyan said that a cave environment will be created for kids to participate in excavations. Children will excavate the souvenir variant of the real-life oldest discovered shoe which was found in Armenia. The festival will begin June 27 and run through July 8. July 4th is Independence Day in the US, and usually a large number of visitors arrive in Washington. Estimates show that half a million visitors come to the festival on an average basis. Since Vardavar (Armenian festival when people drench each other with water) will be celebrated on July 8 this year, the concluding event at the Smithsonian will be pretty wet.